Eden Theological Seminary - Life changing! I attended Eden for a dual-degree social work and divinity program, receiving a Master of Social Work at a partnering institution. At the height of the Ferguson uprising, I studied at Eden under professors who helped me make sense of the racial dynamics in US America and to be formed as a theologian in the crucible of activism. Liberation, queer, postcolonial, feminist, and womanist theologies helped me to make meaning of all that I was experience, while professors ushered me into race-critical thinking. They exposed my growing edges and the ways that I still have unresolved questions-- I still have much work to do around learning about care for those who are differently-abled and about how I understand Christology and soteriology. And surprise, surprise! Despite my reluctance to work in the church, now I work as a Minister of Family Programming for a Metropolitan Community Church. I cannot say enough good things about this institution! Join in and write your own page! It's easy to do. How? 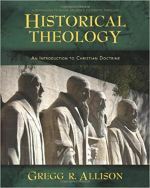 Simply click here to return to Seminary & Divinity School Review.